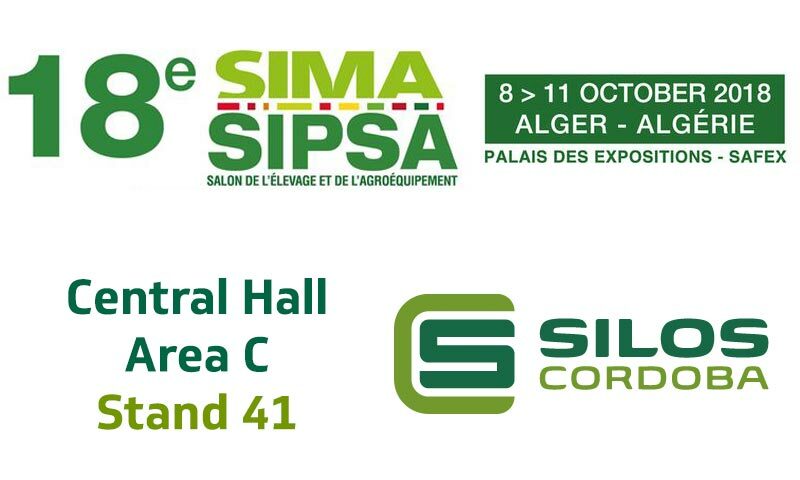 Silos Córdoba will be exhibiting at SIMA Sipsa, Algeria (08 – 11 October) with MGN, its feed mil division. Silos Córdoba will be exhibiting its comprehensive grain storage solutions and turn-key projects along with MGN projects, from small installations to complete “turn-key” feed mills. We will be exhibiting at Central Hall, Area C, booth 41. Visit us.